Dubai immigration authorities have temporarily exempted foreign nationals from producing good conduct certificates for processing their employment visas. This measure is expected to improve job prospects for them in free zones of the emirate. Free zones fall outside the purview of the UAE Labour Law, hence they will not need the document. Job visa applicants outside the free zones in Dubai, however, need to provide conduct certificates, according to the Ministry of Human Resources and Emiratisation (MOHRE). An official from MOHRE said: "All residents who have lived in the UAE for over five years, can procure it from a local police station. However, residents who have lived in the country for less than five years need to get it from their home country, and should get it attested by the UAE Ministry of Foreign Affairs Office from their respective countries." Dubai government employees are exempt from producing this certificate. The waiver of this document is applicable only for employment visa procedures in Dubai and does not cover other emirates. A General Directorate of Residency and Foreigners Affairs (GDRFA) circular has been sent to Amer and Tasheel centres informing them of the change. "Please note that according to the General Directorate of Residency and Foreigners' Affairs - Dubai, in accordance with the announcement sent on February 16, 2018, a certificate of good conduct is no more a mandatory document in visa application in vision eform till further notice," it said. The latest exemption is, however, only a temporary measure, and it is not known for how long it will be extended, authorities said. A source at GDRFA said the immigration department in Dubai will not insist on the document for the time being in the emirate. 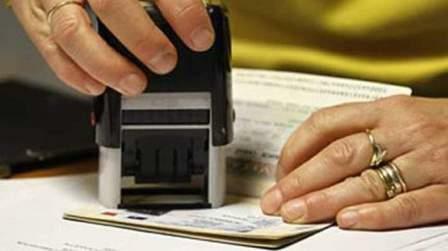 It is "no more a mandatory document" for visa application, the source said. "This move is only temporary and will be reinstated." The short-term measure is expected to give foreign missions in the country time breathing room to put in place systems to reduce waiting periods for the certificate to be procured by their nationals already in the country. The Amer call centre confirmed this development, and said they had received the circular on Thursday. The centre said those seeking jobs in Dubai are not required to submit their conduct certificate for their visa papers to be processed. According to the decree which came into force on February 4, expats must get what is known as police clearance from their home countries, which should be attested by overseas UAE missions or happiness centres. Expats expressed relief and said the development would be boon to the city's employment market and keep it attractive for talent from other countries and boost its innovative streak. Foreign embassies and consulates had reported massive crowds after the decree came into effect last week.